In 595 Pope Gregory chose St Augustine to head a mission from Rome to convert the Anglo-Saxons of Kent. Ethelbert,the King of Kent, had already married a Christian princess called Bertha from Gaul. She brought with her to England Bishop Luidhard. Ethelbert at this time was the dominant power in the south east. St Augustine had 40 men with him and landed, or so it is supposed, at Ebbsfleet, on the island of Thanet. Tthe king allowed him to settle and preach. 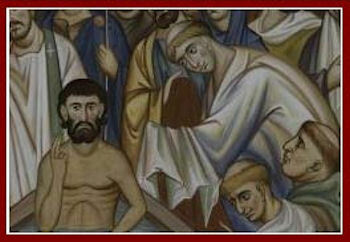 The King was converted and many were baptised. The Pope granted St Augustine the pallium thus making his status that of an Archbishop. St Augustine and Ethelburt summoned the British bishops to a meeting. At their meeting St Augustine did not rise to greet them, and for lack of humility, as they saw it, they would not submit to him. The British also gave no heed to appeals from Mellitus and Justus. In 624 St Justus consecrated St Paulinus as Bishop of York so that he could accompany St Ethelburga of Kent on her marriage to Edwin King of Northumbria. When Edwin was killed in 633 St Paulinus had to return and became Bishop of Rochester. 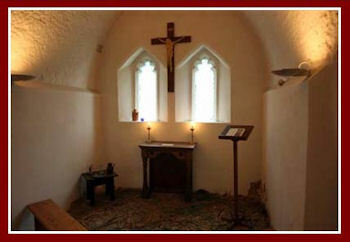 St Eanswyth founded the monastery at Folkestone in 630. It may have been the first all women only monastery in England. Her relics are still there beside the high altar. St Ethelburga (637) founded the double monastery of Lyminge in Kent. There is a holy well in her honour. Her sister St Edburga joined her here. 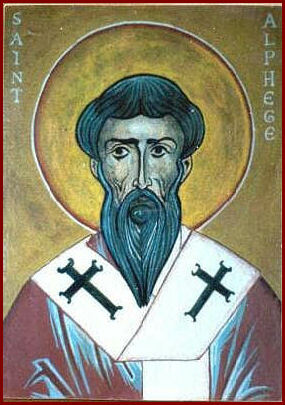 St Deusdedit was the first native (West Saxon) Archbishop of Canterbury. He founded a nunnery on Thanet and helped with the foundation of Peterborough. He died of the plague in 664. At this time the Archbishop probably had little power outside of Kent. St Theodore of Tarsus (690) was a Byzantine Greek living in a community of Eastern monks in Rome. 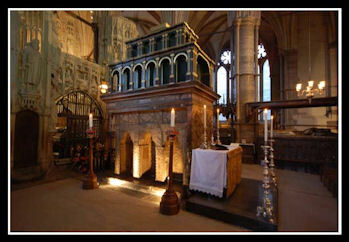 He was consecrated the seventh Archbishop of Canterbury in 668. He introduced various forms in church life and also set up a school in Canterbury which led to a great increase in Anglo-Saxon scholarship in the monasteries. He died in 690. 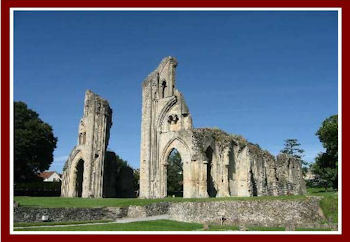 St Bertwald was the first Anglo-Saxon abbot of the monastery at Glastonbury. 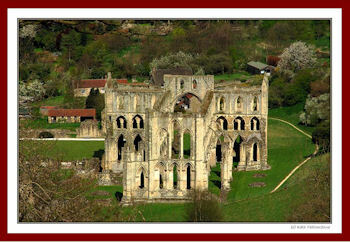 The monastery had been founded probably in 7C and fell into Wessex hands when they advanced into Somerset. 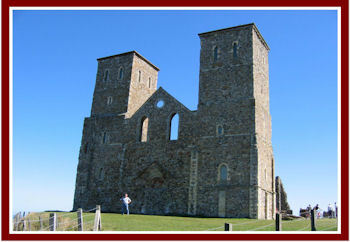 He was also abbot of the monastery at Reculver in Kent, and eighth Archbishop of Canterbury. He died in 731. By 870 all the Anglo-Saxon kingdoms had fallen to the Danes. Wessex alone was left and on its knees. The restoration of English fortunes began from there. 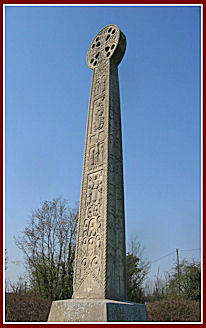 King Alfred (889) drove the Danes out of Wessex and out of West Mercia. One of the terms of surrender was that they became Christian. Edward the Elder (924), Alfred’s son, drove out the Danes out of the East Midlands and Essex and took control of Mercia. The Northumbrian Danes were defeated and gave no further trouble. By 918 all the Danes south of the Humber had submitted. 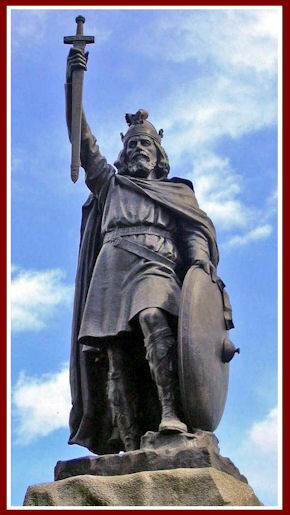 The Norse, the Scots and Welsh all acknowledged Alfred as ‘lord’. Athelstan (939) Edward’s son, ruled over all England south of the Humber. Within 10 years his power may have stretched to the Firth of Forth. 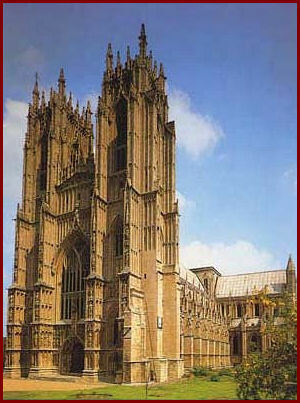 Wessex became England and, under Edgar (957-975), the King of Wessex, and King of England. helping Alfred with his translations of important works. Grimbald declined the offer of the see of Canterbury but was appointed first professor of divinity at Oxford. Under Edward he helped with the foundation of the New Minster at Winchester and became its abbot. 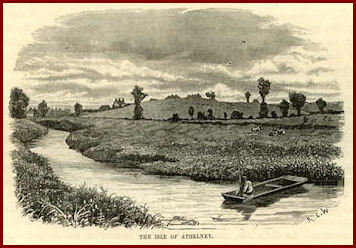 Alfred founded Athelney on the Isle of Athelney in the marshes of Somerset in 888 in thanksgiving for defeating the Danes. Its dedication to St Egelwine suggests it may have been built on an existing monastery or hermitage. But he could not find any monks from England to live there, so he had to get them from France. He also founded Shaftesbury Abbey in Dorset for women in 888 under his daughter St Ethelgiva. However there is no evidence that these lasted til the revival under Edgar and Dunstan. King Edward Elder founded Romsey Abbey in 907. Cerne Abbey founded same year on site of hermit St Edwold. King Edgar (975) King of England reorganised the church and re-established monastic life. In this he had the support of three extremely capable bishops. Monastic discipline had largely broken down, lay persons had acquired rights over monastic lands and properties and used them for secular purposes. This state of affairs had arisen because of the the royal support for monasteries in which kings and queens had bestowed land and properties on the monasteries very generously. This had aroused considerable antagonism in the rest of society. It had made the monasteries targets for the unscrupulous. Two things drove the reform: first the ever current need to re-emphasise the basic fundamentals of monastic life. The second was the awareness that the church and the world need effective intercessors. 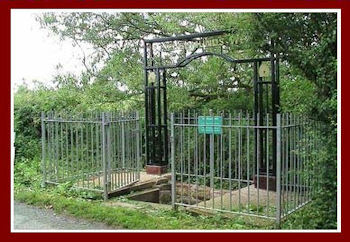 St Plegmund was a Mercian who lived as a hermit on the Isle of Chester amid the marshes at Plemstall near Chester. He became Archbishop of Canterbury in 890 until 914. He was a scholar and probably supported in his life by a local community. He came to the notice of King Alfred, a scholar himself, who made great efforts to restore scholarship among his countrymen. One of the works St Plegmund worked on for King St Alfred was the translation of St Gregory the Great’s ‘Pastoral Care’. When finished King Alfred sent a copy to every bishop in the Kingdom. He made every shire in Wessex have its own bishop. 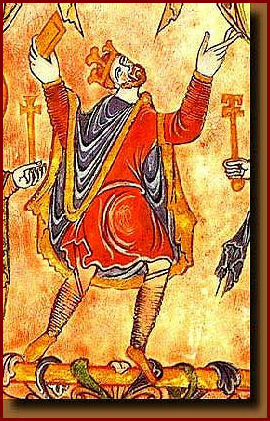 He crowned King Edward, Alfred’s son in 899. He reigned till 924. St Dunstan, as a boy, is said to have studied under Irish monks who then occupied Glastonbury, and as a young man lived there for a while in a small cell as a hermit. Kind Edmund the Elder made him abbot. Dunstan rebuilt the church and cloister and re-established the enclosure. St Dunstan was appointed by King Edgar to be bishop of Worcester. He was also made bishop of London and then, in 960, made Archbishop of Canterbury. He became virtual prime minister of the Kingdom. 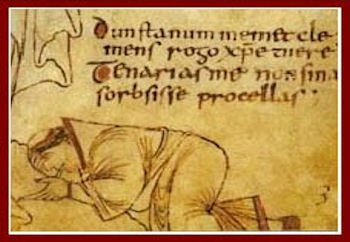 With the help of St Ethelwold of Winchester and St Oswald of Worcester, a concerted attempt to bring about reform in the monastic life was possible. They inculcated the spirit of self-sacrifice and enforced celibacy. Selling church offices was forbidden and appointing relatives to positions in the church. Secular canons were often replaced by monks. 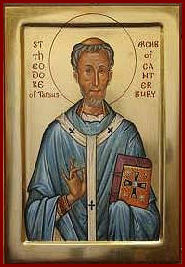 St Ethelwold had been with St Dunstan at Glastonbury. But in 954 he was only deterred from going to a French monastery by being given the ruined monastery at Abingdon, a 7C Saxon foundation. His only help was three clerks from Glastonbury. He had to get help from Fleury and Corbie to get the skills of worship flowing again. He reformed the cathedral at Winchester by removing the canons, depriving them of their income and replacing them with monks from Abingdon. These actions however aroused strong and sometime violent opposition. 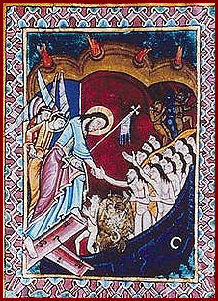 St Ethelwold wrote, ‘Fearing lest I should incur eternal misery if I failed to do the will of him who moves all things in Heaven and Earth, I have — acting as the Vicar of Christ — driven out the crowds of vicious canons from various monasteries under my control, because their intercessions could avail me nothing…and I have substituted communities of monks, pleasing to God, who shall intercede for us without ceasing’. St Oswald spent eight years as a monk of the reformed monastery of Fleury, bishop of Worcester and Archbishop of York. The reform spread from three areas: Glastonbury, Abingdon and Worcester. Each one was under one of the three reforming bishops. There resulted 30 monasteries for men and 6 for women before the Normans came. The significance of the reform is often overlooked: the bishops of the dioceses had to be monks and the monks elected their bishop as head of their community. This was a unique feature of the English reform as distinct from the continental ones. The result was that the monasteries had a dominant place in the life of the English church and they were not at odds either with the bishop or the king. 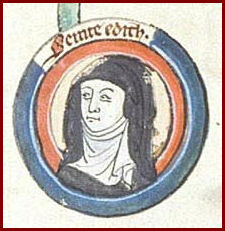 St Edith (Eadgyth) was the daughter of King Edgar of England who had forcibly carried off her mother from Wilton Abbey. The King was not allowed to wear his crown for 7 years as a penance. 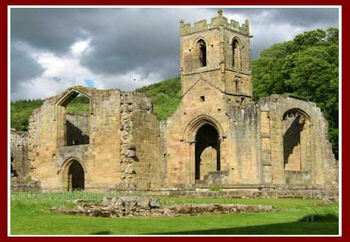 Eventually her mother returned to the Abbey along with Edith and even became abbess. St Edith refused the offer of the English crown. She died in 984. When her body was exhumed it was found to be incorrupt. King Canute attributed his rescue from a storm at sea to Edith’s prayers. The small convent built of wood was destroyed by the Danes in 1033 then rebuilt in stone by the wife of Edward Confessor. The Danes attacked in East Anglia in 991 and 994 but on both occasions the Anglo-Saxons bought them off. 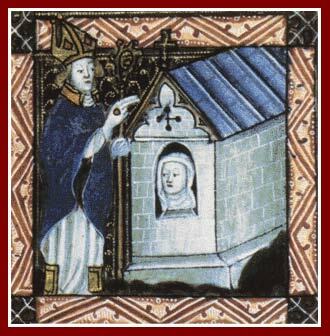 St Alphege, Archbishop of Canterbury, was a monk who, when Bishop of Winchester, converted the Viking King Olaf. But he refused to allow the Danes to be bought off and was martyred by the Danes at Greenwich in 1012. The English monarchy went into Danish hands with the invasion of King Canute in 1013. He ruled over a unified English Kingdom from 1016-1035. But in 1042 it reverted into English hands under Edward the Confessor. Edward died in 1066 when Harold took the throne. Shrine of St Edward the Confessor (1066). 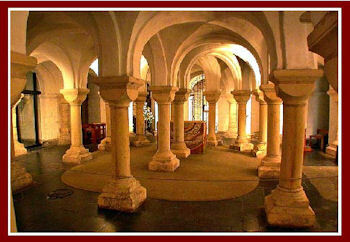 The crypt of Worcester Cathedral built during the time of St Wulfstan. Two differences between the old and the new monastic life stand out: the role of the ‘Father’ which had been so central under the old order, was much diminished. Rather the aim was a perfection of the priestly/liturgical life under a common discipline under a common Rule. The freedom that pertained in the ‘old’ order was severly curtailed. Freedom had contributed to the decay of monasticism – as it always has done once faith, hope and love decrease. But freedom is also needed for the renewal of the tradition. 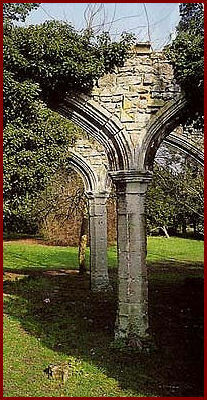 As Dom David Knowles said, in his great study of the Monastic Order in England, that from this reform ‘until the final suppression of the monasteries in England in 1539 an unbroken series of generations lived the regular life and formed a sequence of tradition which remained in its essentials one and the same’. The monastic life experienced great renewal among the Cistercians, which began in 1098 and which flourished greatly under St Bernard. The Cistercians emphasised solitude, poverty, simplicity and manual labour. They were extraordinarily successful. By the end of the 13C they numbered 500 houses, sometimes with 2 or 300 in a single monastery, and eventually it had nearly 750 houses. But even when the monastic life wanes the hermit life increases. There is a clear continuity here with previous tradition. The Carthusians are essentially communities of hermits. The Carthusians were founded by St Bruno in 1084. Each hermit left his cell 3 times a day to worship in the common chapel; they met together on Sundays and Feasts; individuals had no contact with the outside world. The Carthusians have maintained their fervour and have needed reform. Anchorites were a very common feature of medieval England to be found in many towns – and some towns had a great number. This Psalter was probably owned by the hermit Christina of Markyate (1155) in Hertfordshire. Disciples gathered round her and the community was supported by the Abbot of St Albans. An Anchorhold at King’s Lynn. Several anchorites were attached to religious communities. Mother Julian of Norwich (15C) was an anchoress in Norwich. Her ‘causes’ for canonisation was lost through the upheaval of the Reformation, as were those of Richard Rolle (1349) and Walter Hilton (1396).